Iceland is the first British supermarket to pledge a crackdown on palm oil by removing the environmentally devastating food ingredient from its own-brand food. The frozen food specialist said it had made an ethical decision to reformulate 130 food products to completely remove palm oil from its list of ingredients by the end of the year. The ubiquitous vegetable oil is used in around half of all supermarket products, from soap and chocolate spread to oven chips and crisps, despite its damaging environmental consequences. Iceland said it has already replaced palm oil in 50pc of its range across its 900 stores. It has also rolled out 100 new lines which forego the ingredient blamed for destroying rainforests and threatening critically endangered species including the orangutan. The pledge to end palm oil use comes amid brewing trade tensions between the western governments mulling a palm oil ban, and Indonesia and Malaysia, where 90pc of all palm oil is produced. In Indonesia alone it is estimated that areas of rainforest the size of 146 football pitches are lost every hour as the industry races to keep up with the booming global demand. 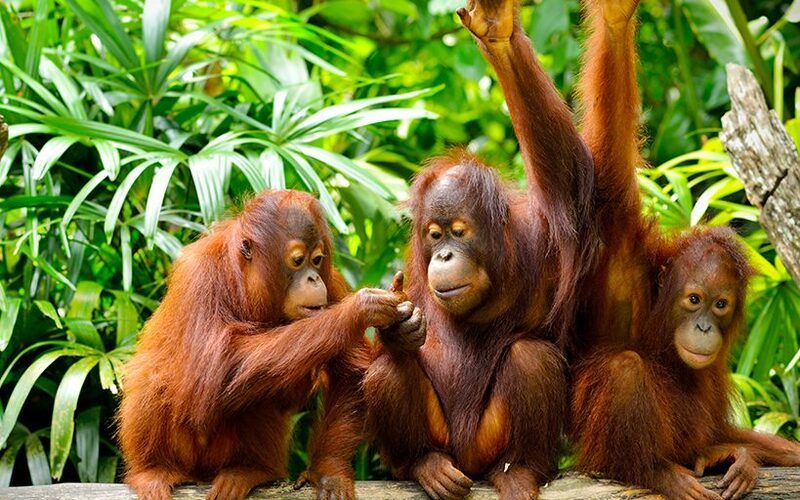 As a result the number of Bornean orangutans has more than halved between 1999 and 2015, leaving fewer than 100,000 left. “Having recently been to Indonesia and seen the environmental devastation caused by expanding palm oil production first hand, I feel passionately about the importance of raising awareness of this issue – and I know many British consumers share my concern and want to have a real choice about what they buy,” he said. Greenpeace UK said a growing number of consumer companies are working to draw a line on their involvement with deforestation by 2020, which will increase pressure through their supply chains too. John Sauven, of Greenpeace UK, said Iceland’s decision was a direct response to the “palm oil industry’s failure to clean up its act”. “As global temperatures rise from burning forests, and populations of endangered species continue to dwindle, companies using agricultural commodities like palm oil will come under increasing pressure to clean up their supply chains,” he warned. » What is your supermarket doing to fight plastic?